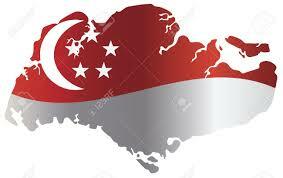 ExVeritas Singapore Pte Ltd provides Certification, Inspection and Training Services to local markets. Having local bi-lingual staff provides a timely, cost effective services to customers in Singapore and the Asia region. Fast Field Certification Delivered Locally for ATEX and IECEx Certification. Local auditors for ATEX QAN and IECEx QAR. Direct access to ExVeritas ATEX Notified Body and IECEx Certification Body Certification Hazardous Area Certification with test and assessment normally conducted by local staff even at short notice. ATEX and Ex Design Consultancy for products and installations- ExVeritas Singapore is backed by a team of experts with over 250 years collective experience. IECEx non-electrical equipment, skids and assemblies certification specialist. We have certified most types of oil tool and accessories for some of the worlds biggest companies. Contact us and get your FREE ATEX/IEC Wallchart! Click to email ExVeritas Singapore and we will call you back!